The world's first-ever detection of two faraway neutron stars colliding, causing a massive blast that rippled through the fabric of space and time, was judged the scientific breakthrough of 2017, the journal Science said Thursday. 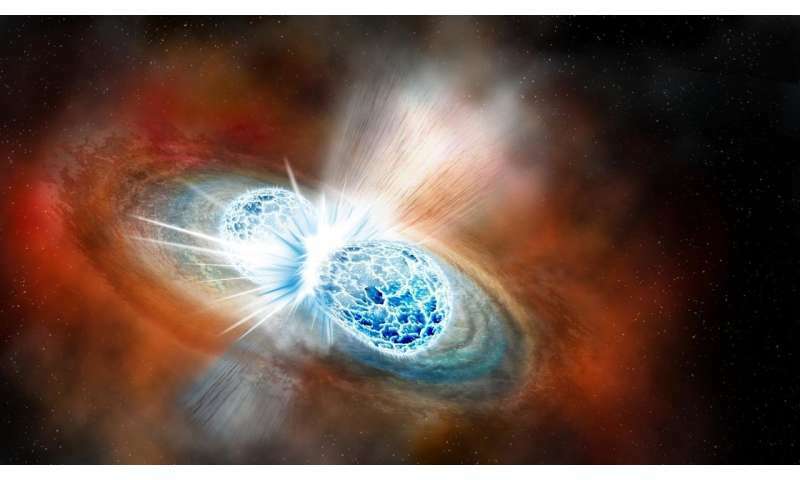 The smashup of the two ultra-dense stars observed on August 17 "confirmed several key astrophysical models, revealed a birthplace of many heavy elements, and tested the general theory of relativity as never before," said the report. The blast, which occurred 130 million light-years away, is the kind of event that produces as much as half of the universe's gold, platinum, uranium and mercury, experts said. Shockwaves ran through the scientific community when the discovery was announced in October, after being detected by gravitational wave sensors in the US and Europe, and some 70 telescopes and observatories around the world. Bangalore Sathyaprakash from Cardiff University's School of Physics and Astronomy recalled the moment as "the most exciting of my scientific life." The magazine's annual rundown of the top advances of the past year also included the discovery of a new kind of orangutan, Pongo tapanuliensis, with just 800 believed to live in an isolated Indonesian forest. Another was a second look at a skull unearthed from a Moroccan cave in 1961, showing that it was actually about 300,000 years old, a full 100,000 years older than early homo sapiens were previously known to exist. The findings have "reinvigorated the search for new fossils of our species's earliest members," said the report. The successful gene therapy trial in children with spinal muscular atrophy 1 (SMA1), the most common genetic cause of death in infants, also made the list. Eleven of the 12 babies who were infused with a high dose of intravenous AAV9 gene therapy—carrying the gene for a missing protein—"can talk, eat, and sit at least briefly on their own," it said. A genetic advance called base-editing that may help eliminate certain diseases also made the top 10, along with the approval of pembrolizumab (Keytruda) by Merck to kill a range of cancers based on their DNA rather than their location in the body. The journal, which is published by the non-profit American Association for the Advancement of Science in Washington, noted several "breakdowns" in the world of science this year, too. They included the "deeply dysfunctional" relationship the scientific community and between US President Donald Trump, who this year "renounced the 2015 Paris climate accord, rolled back many environmental rules, and called for deep budget cuts at key research agencies," it said. "It's a breakdown of epic proportions, with no obvious fix." Sexual harassment also roiled the scientific world, as more women were encouraged to speak out by the #MeToo movement that has swept through the worlds of entertainment and politics. Another low point was the failure of a $5 million project to save a small porpoise, called the vaquita, off the coast of Mexico.